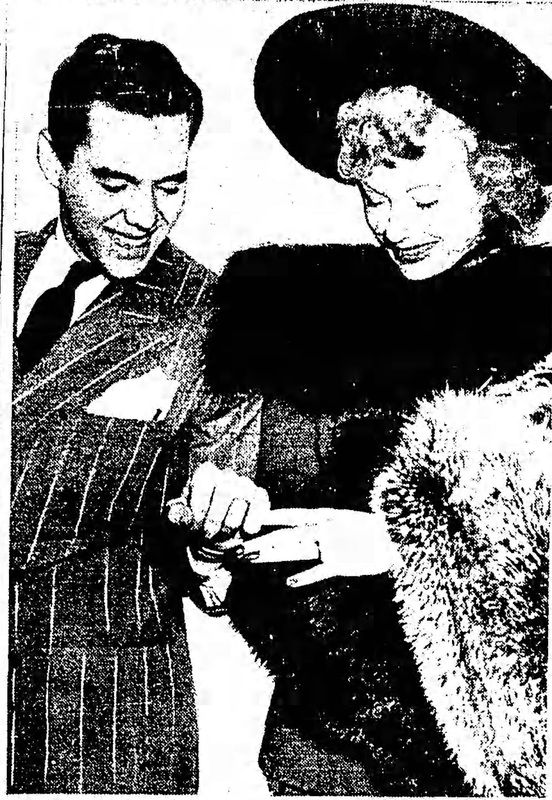 Lucille Ball and Desi Arnaz: Married at Last! “I am busy getting married to Lucille Ball.” This is likely the only time this particular excuse has ever been made by an employee to an employer. 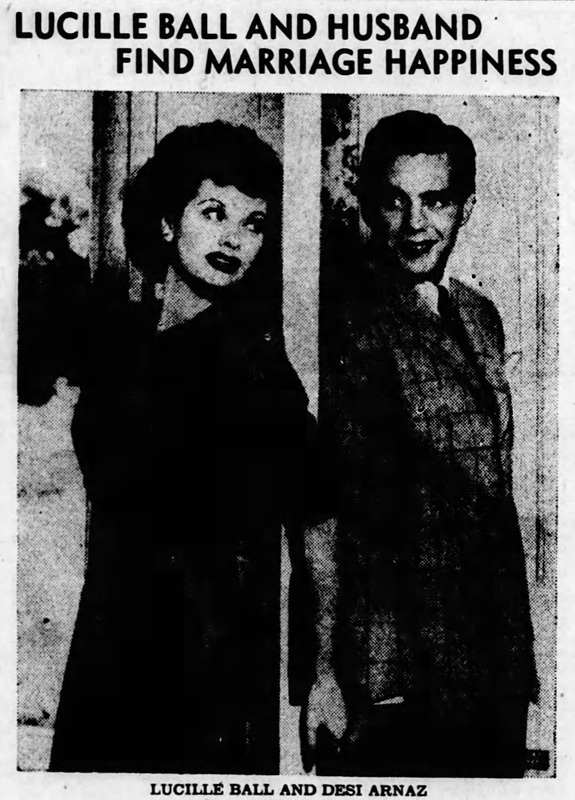 It was November 30, 1940, and Desi Arnaz telephoned his boss at Manhattan’s Roxy Theater at 153 W. 50th Street to explain just why he would not be appearing in the first of two shows he was scheduled for that evening. He was still in Greenwich, Connecticut. But he’d be back in New York that evening and ready to perform for the second show, he promised. And this time, the 25 year old band leader was bringing his wife! 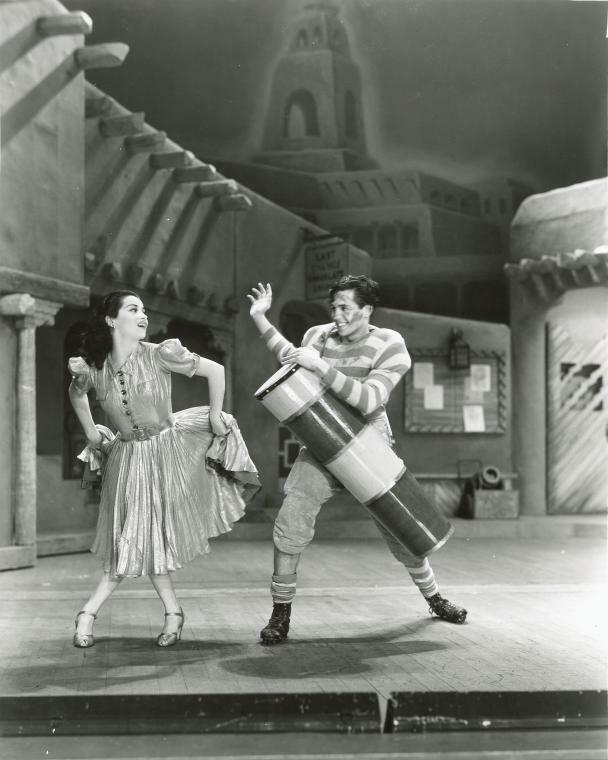 When Desi and Lucille showed up at the theater that night, he insisted on carrying her over the threshold of his dressing room, a symbolic act that foreshadowed the wild success the pair would later enjoy in the world of entertainment. That night during his band’s performance, Desi brought Lucille on stage and introduced her to the crowd as Mrs. Desi Arnaz. The audience threw rice (supplied by the management). 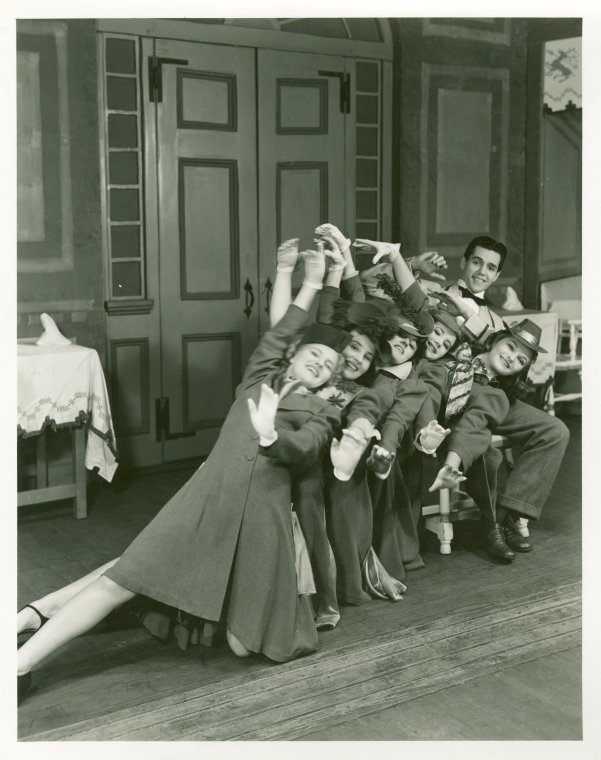 Thus ended months of speculation about the couple who had met in 1940 while filming “Too Many Girls.” The RKO picture was based on the musical that had played in Manhattan from October 1939 through May 1940. Arnaz, who had appeared in the stage production as “Manuelito,” reprised his role for the film production. In Hollywood, Arnaz met Ball (in the commissary line) and the two immediately began a romance. Gossip columnists were quick to notice, but the couple dismissed speculation, saying that each was now under contract at RKO and didn’t have serious plans for the future. By year’s end, they were secretly planning a wedding. 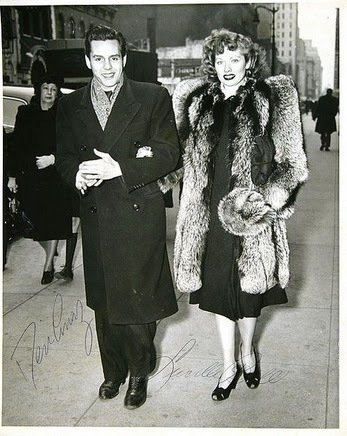 In November 1940, Ball arrived at La Guardia, where she was met by Arnaz. She was ostensibly in New York for the premiere of Too Many Girls. The Press Gets it Wrong. And no, Arnaz was not from Argentina. 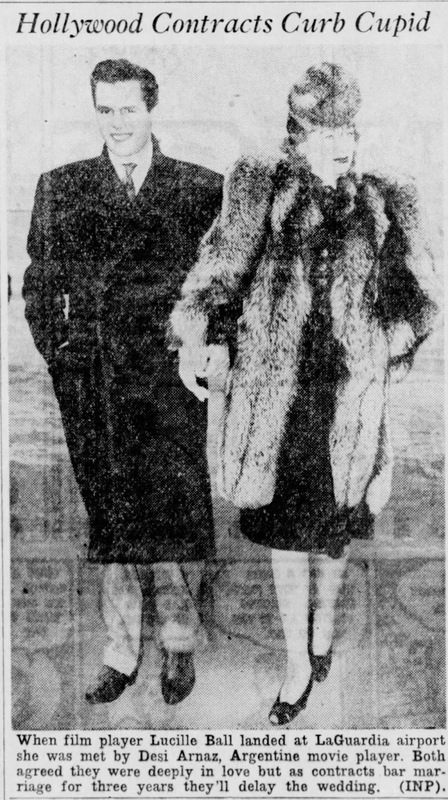 As the papers noted, the love birds were unable to wed, owing to their RKO contracts. 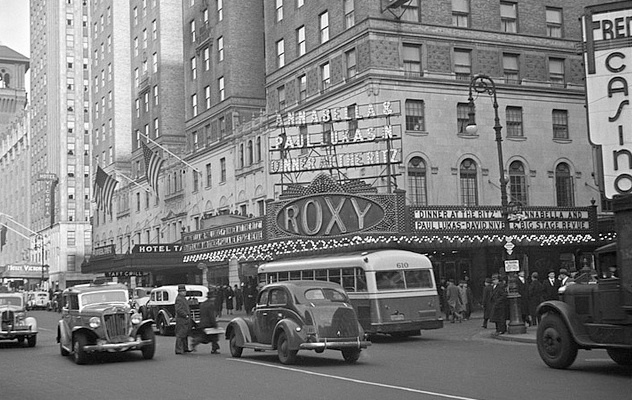 After the show at the Roxy that night, they checked into the Pierre Hotel at 2 East 61st Street. They would remain in New York City for six weeks. 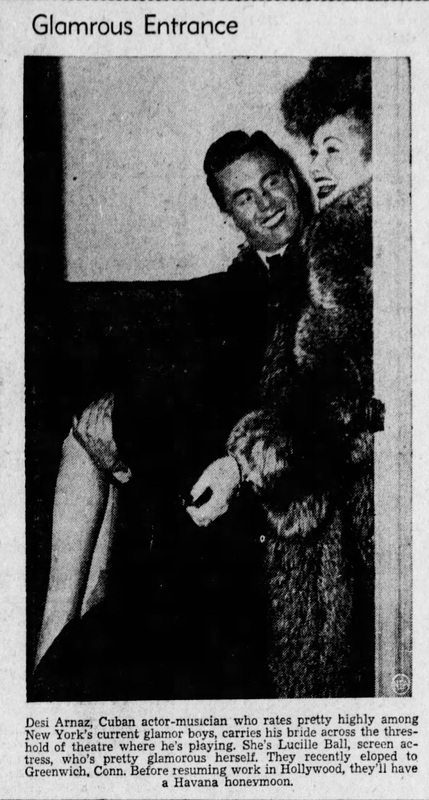 For months, the press had delighted in noting that Ball was “dithery” over Arnaz, the Latin “glamor boy.” And rumors of an elopement had circulated for weeks. 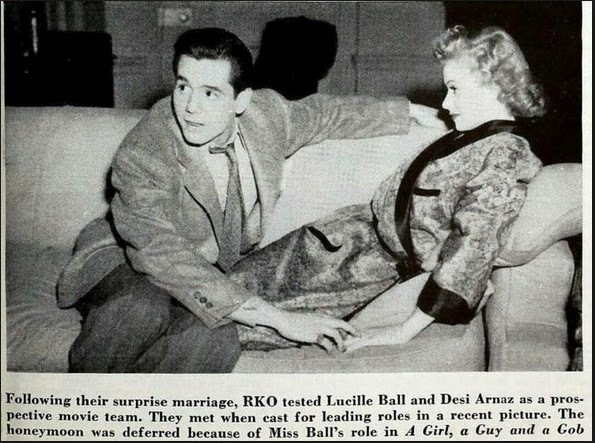 Now that they were married, the press revealed that Arnaz called her “Lucy.” And RKO, it turns out, did not void their contracts as threatened, but instead tested them as a team to see if they would play well on screen together. On the streets of Manhattan, November 1940. Ultimately, the studio was not supportive of casting the newlyweds together; and soon after their contracts ran out, both left RKO for Metro Goldwyn Mayer. 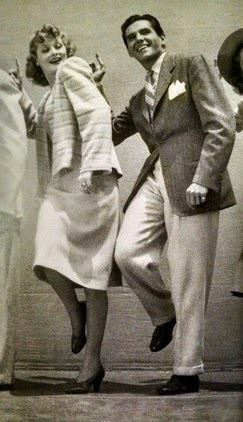 Of course, by the 1950s, the pair would become one of the most famous and successful duos ever. And RKO? In 1957, Ball and Arnaz purchased the studio for 6 million dollars, adding it to their independent TV production company, Desilu Productions.